While free is not always the best, but we have compiled a comprehensive list of the best free CAD software for 3D printing which can cater to people from students to professionals. 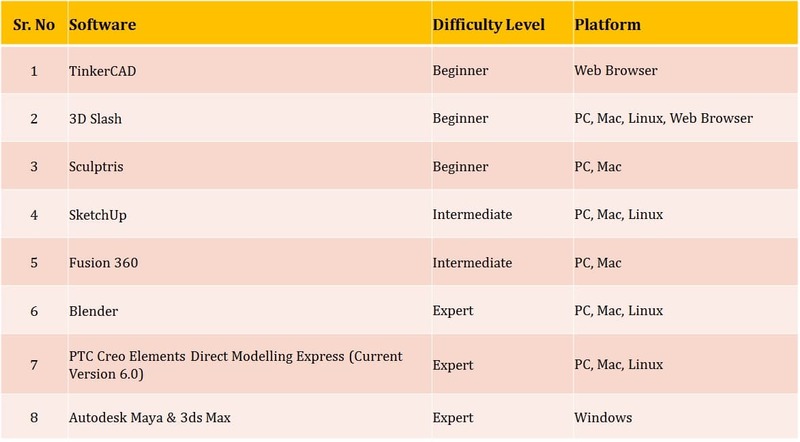 These free software have some limitations but as starters, these software can be relied upon for learning and modelling purpose. These free CAD software for 3D Printing are a great source to quickly get some hands-on experience of designing. Let us look at some of the best free CAD software for 3D printing available for beginners, intermediates and experts. 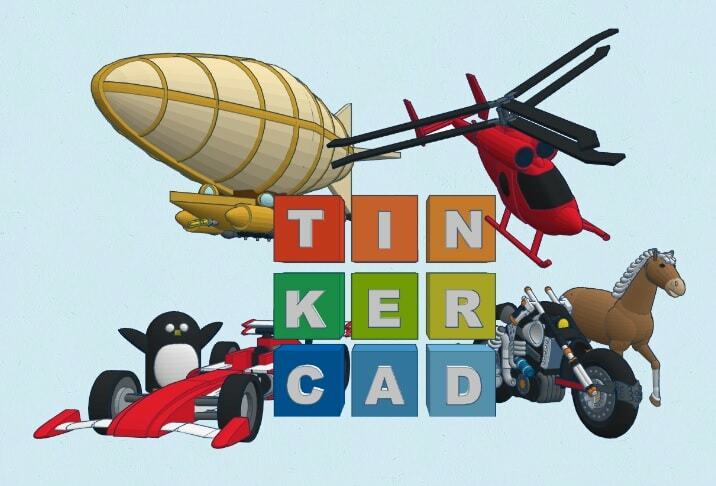 Tinkercad is the simplest and one of the best free CAD software for 3D printing. It is an online 3D design tool. It starts with basic tutorials and helps you understand all the functionality step-by-step. You can learn the lessons anytime you want and as many times you want. This tool can be easily attractive to all new learners, enthusiasts, students, and even kids for that matter. 3D Slash is one of the best free cad software for 3D printing learners. It is an easy-to-use software which lets you create models using a simple block building technique, much like Tinkercad. It is fun to use and interactive. Free STL files downloaded from Thingiverse can be edited in 3D Slash. Sculptris is a brush-based interface which features different brushes to draw, grab, pinch, and smoothen the surface. It also boasts of a number of textures, patterns and materials. It is a 3D modelling software which enables users to sculpt a 3D model. This entry-level free software runs easily on computers with basic graphics cards. SketchUp is mostly used by users such as Engineers, Architects, Designers, etc. It is a great tool because the basic functional mode is to create a 3D model from a 2D base. It is easy to use and the simple tutorials guide the user through the basics of using the software. The Sketchup library, called as 3D Warehouse, enables user to load readymade objects directly into the existing design. Fusion360 is a revolutionary next generation software which combined the CAD/CAM/CAE tools for a complete collaborative product innovation and development platform. It integrates the complete design to manufacture process in one complete package. It simply is the best free CAD software for 3D printing. Fusion360 takes a cloud-based which lets you use the software irrespective of the OS and you can access your work from anywhere in the world. It is available freely for a period of 3 years for students and Startups. Blender is free and an open source 3D software and provides a complete solution. It is commercial software. This software is mainly used in the animation industry. It can be called as the entry level professional software for 3D modelling and one of the best free CAD software for 3D printing. PTC is a big name in the 3D modelling, designing field. The organisation has churned out numerous software solutions like the Computer Aided Design (CAD), Product Lifecycle Management (PLM), Service Lifecycle Management (SLM), etc. PTC Creo Elements/Direct Modelling Express 6.0 is another of such solution for budding designers who have fair bit of modelling background. Though this module is freely available, it is not targeted towards a new learner. The user needs to have a fair bit of background in using direct of parametric modelling software before using direct elements. Both these Autodesk software are good alternatives in addition to the above mentioned free CAD software for 3D printing. Maya is much more than a regular 3D modelling software as it creates more life-like models. It is mostly used for animation, simulation and rendering purposes. 3ds Max is one of the most comprehensive modelling software and mostly used by game developers and graphic artists. This software is suited to users who have a background in animation and modelling on professional software like Maya. Both these software are paid but they are freely available for students and Startups, similar to Fusion360 for a period of 3 years. Both these software are highly professional and rank high in some of the best free CAD software for 3D printing across all the modelling software. This comprehensive list of the best free CAD software for 3D printing will give new learners a direction to start 3D modelling and enter the world of 3D printing.